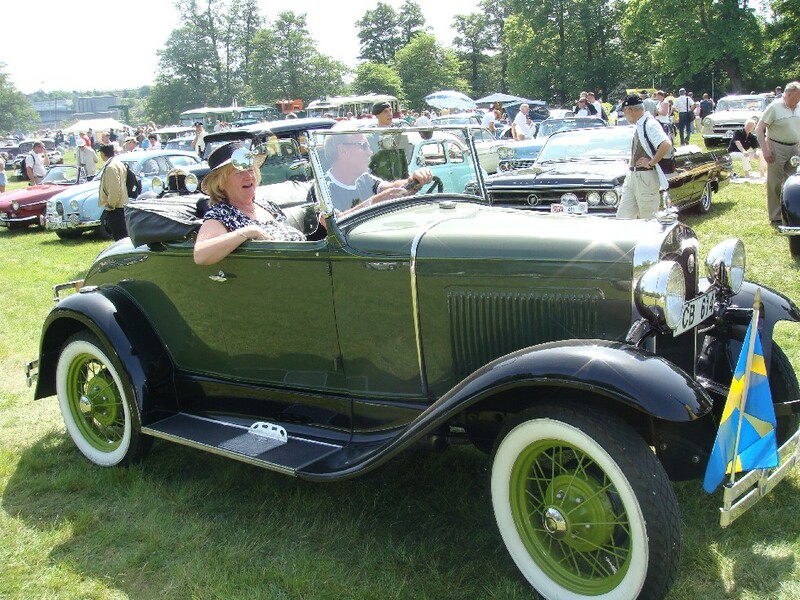 Svenska A-Fordarna is an association of Model-A Ford enthusiasts who want to keep alive the biggest event in motor history: The time Henry Ford, at the age of 64, managed to manufacture and sell close to 5 million Model-A Fords between 1928-1931 and this during the great depression. The Model-A Ford is the most commonly seen vintage car today and more and more are being restored to driving condition. Model-A clubs can be found from Australia to Argentina and Scandinavia i.e. all over the world. Considering the world-encompassing span of the Model-A, it is somewhat difficult to calculate how many remain but the concensus is between 800.000 and 900.000 cars. We estimate that in Sweden alone 1800 to 2000 cars exist, all in different condition. Scandinavia has roughly 1500 Model-A owners who are member of one of the Nordic Model-A clubs. Every other year, a “Gränsträff” or border meeting is arranged in one of the Nordic countries where the Nordic Model-A clubs meet in a big family party. In between, there is the national “Grästräff” or grass meeting. What makes the Model-A’s so popular? Well, Henry Ford had very high demands when it came to the production, design, speed and performance quality of his cars. He was one of the first to introduce electric welding and one of the first to use roller bearings instead of friction type bearings as the roller bearings were superior. Henry Ford had about 40 different models of the Model A-Ford and 15 different models of trucks to offer. This appealed to a wide range of customers. One of the reasons so many Model-A Fords are still around is because they are extremely easy to repair, restore and maintain. All Model-A's do no have to be restored to the “straight out of the factory” state. We encourage showing cars which have been restored years ago in order to see the expertise that existed during the 40’s, 50’s, 60’s and 70’s. From an historical standpoint, all the different type of restoration are equally important, relevant and interesting. Hotroded Model-A's are just as important and beautiful. This being said, an untouched car with its wear and tear is an historical piece in itself.